The University of Wisconsin men’s hockey team will take on their biggest challenge of the 2016-17 season so far when they face the University of Minnesota at home in a weekend series. While the two schools dispute exactly how many games they have played against each other, the rivalry has played at least 300 games and is considered one of the greatest in the sport, with another highly touted matchup in a few days. 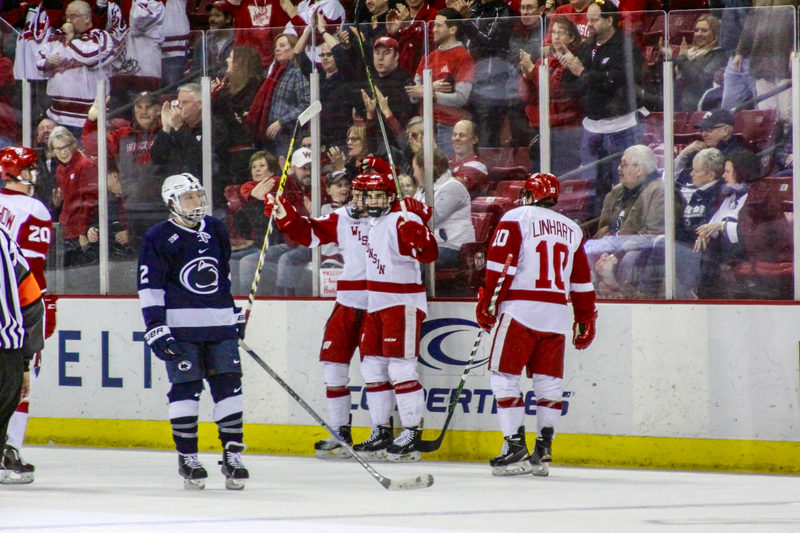 The Badgers (10-7-1, 3-1 Big Ten) are on a two-game win streak after a weekend sweep of Michigan State University over winter break and are in much need of at least one statement victory to help them in conference standings. While new head coach Tony Granato and the team are looking for a similar sweep over the Gophers, even one win could be enough to bump UW into the NCAA rankings for the first time since 2013. The Gophers (13-5-2, 5-1-0 Big Ten) could confirm the top spot in the conference with a few wins this weekend, sitting on a six-game win streak with two of those sweeps coming against the University of Michigan and Michigan State. Minnesota hasn’t lost to Wisconsin since midway through the 2013-14 season and hopes to keep up the recent dominance in the rivalry while crushing the the new coaching staff’s hopes in Madison. The games this weekend will come down to star power for both teams. 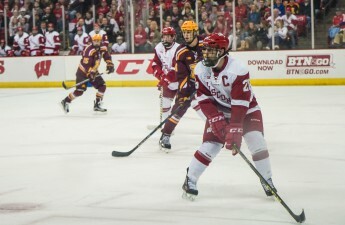 Luke Kunin, sophomore forward for the Badgers, has been on a tear as of late and will need to get on the board early and often to prevent the onslaught of Gopher goals that have terrorized college hockey for well over two months. Kunin leads the team in goals with 13 while the nearest goal scorer, Grant Besse, has only eight. Minnesota has scored no less than four goals in a game since early November and will need to assert its will on Wisconsin freshman netminder Jack Berry if it wants to maintain its overall edge on UW. Berry was named the starter only a few games into this season to replace standout sophomore Matt Jurusik. Berry has excelled in the role, leading the Badgers to one of their most successful starts in over three years. The games begin at 7 p.m. CT on Friday and 5 p.m. on Saturday at the Kohl Center in Madison and will air on Fox Sports-Wisconsin.